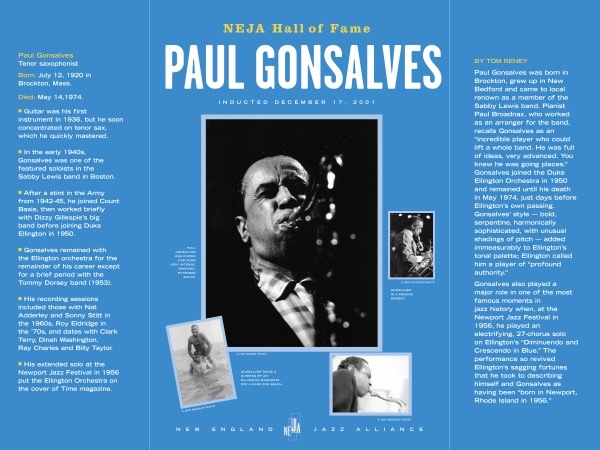 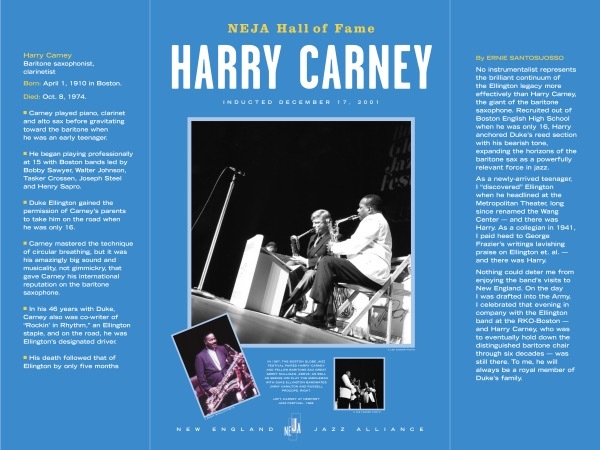 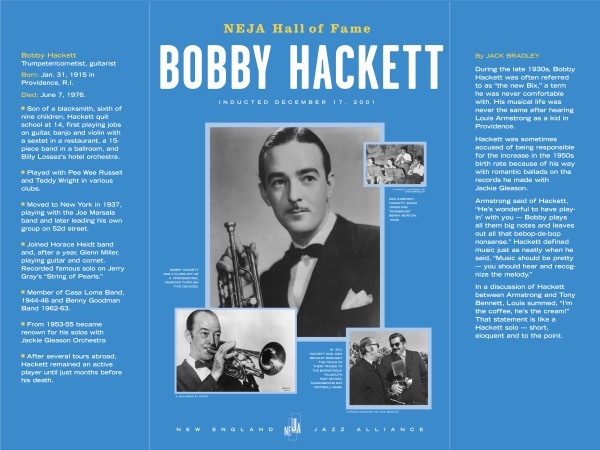 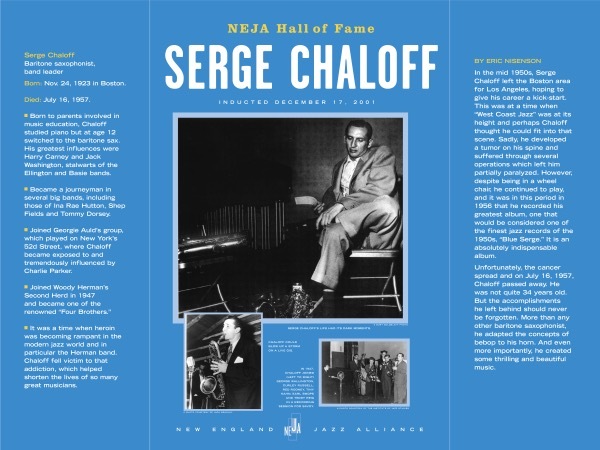 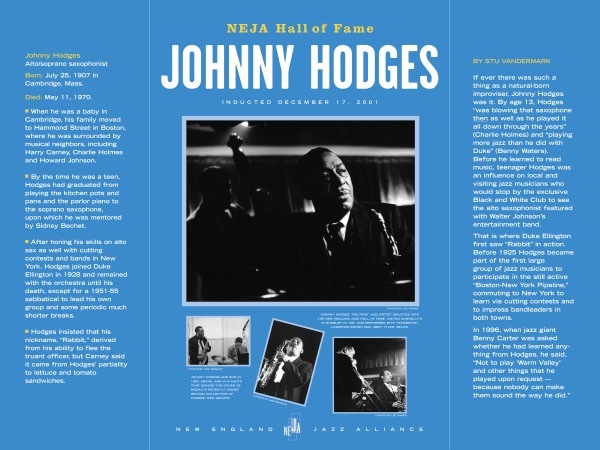 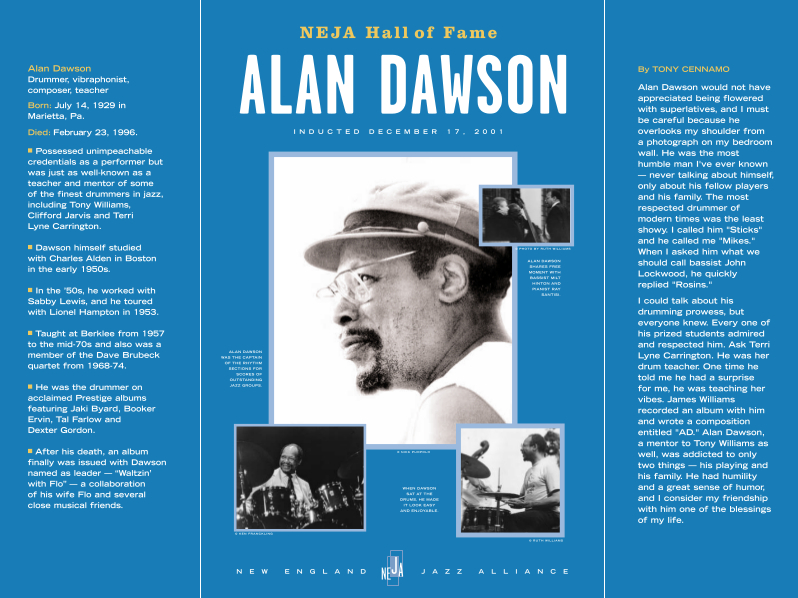 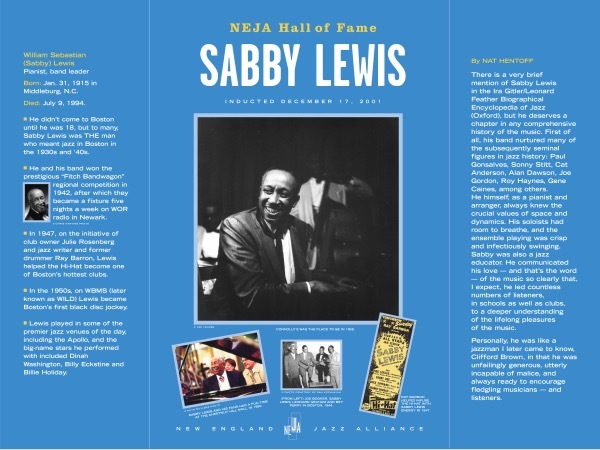 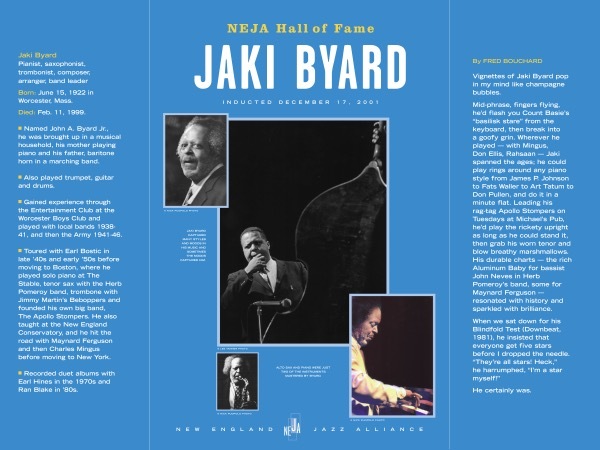 Ten artists were elected to the New England Jazz Hall of Fame in the initial election of 2001. 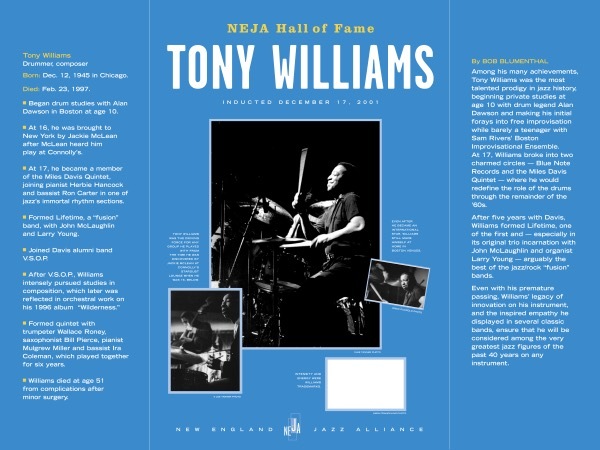 We list them here, in the order in which they finished in the voting. 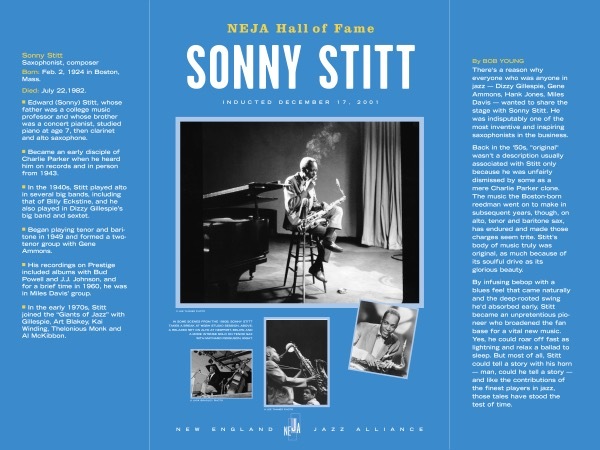 Edward “Sonny” Stitt (born Edward Boatner, Jr.): born Feb. 2, 1924 in Boston; died July 22, 1982, in Washington, D.C.